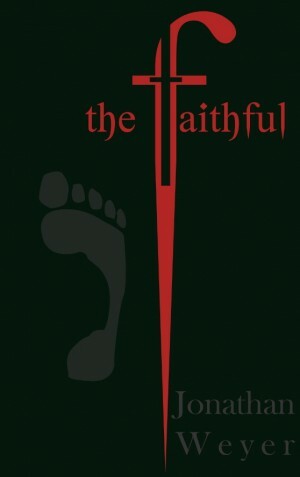 In The Faithful, Reverend Jonathan Weyer meets the church, the paranormal, ritualistic murders and magic head on in a haunting, seductive thriller. The Faithful incorporates elements comparable to the religious intrigue of The Da Vinci Code and dark magic of Harry Potter. Through the eyes of the novel’s main character, an assistant pastor of a Presbyterian Church, Weyer tells the story of a young man shattered by the ritualistic killing of his ex-fiancée and a minister’s loss of faith. The Faithful appeals to those who love non-fiction and fictional works, as they are invited into the inner sanctum of holy men where truth may well be stranger than fiction. Weyer combines dogma and sorcery in an intelligent fast-paced style, lending sharp appeal to Christians, agnostics, and atheists. I said it just the other day. It rolled off my tongue so easily. No hesitation. But … I wasn’t in church. And it wasn’t about faith. As I listened to the story of Doubting Thomas in church this past Sunday, I couldn’t help but think about how brave Thomas was. It’s so hard to admit our doubt when it comes to faith. It’s taboo really. And Thomas just stood right up and said it. No hesitation. And in wrestling with his doubt, he found his faith. Perhaps it’s no accident that I read The Faithful just before Easter. Just before I heard Thomas’s story, I read this story of a pastor struggling with his own doubt. It certainly made me see Thomas in a different light. This book knocked me off my feet. Not necessarily because of the story line, but because of the creative way Weyer wrestled with tough topics. Classified as a “Christian horror novel,” I found the primary story line to be far-fetched. It read more like science fiction than horror. Honestly, there were times that I thought Weyer was off his rocker for writing something like this. But then I’d get hit with a nugget of truth. The conversations between characters, the character development, the inner wrestlings with doubt and faith … Weyer did an incredible job weaving real struggles of faith into the far-fetched story. All too often we dismiss doubt with a simple hand wave and advice to “just give it time.” Weyer does just the opposite – he challenges us all to look our doubts in the face. To own them. To question them. And to see how faith emerges in the midst of them. As I closed the book after finishing the last page, I wasn’t sure it was a book I would recommend to others. But as time has passed since closing the pages, I’ve become more aware of my own doubts. More aware of the doubts of others. And the story of Doubting Thomas seems to be popping up everywhere. This is one of those books that has changed me, without me even knowing it at the time.